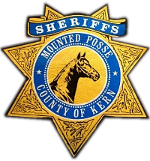 Monthly Posse Meetings are held @ the CHP 420 Club the 1st Monday of the month, unless otherwise noted. Dinner Fundraiser, helping to benefit the physically and mentally challenged children of Kern County. A night full of an amazing Dinner, Dancing, live music, silent auction, raffles, and of course a COW-PLOP.